Spicy Buttermilk On A Stick? This Cute Food Truck By The Beach Serves Crazy Popsicles! The Tickle Truck parked in the left corner of the beach, right after Cozee is more than just an ice-cream truck. While the truck is cute as a button, their menu offers colourful and interesting flavoured ice-creams starting at just INR 30. Craving popsicles? 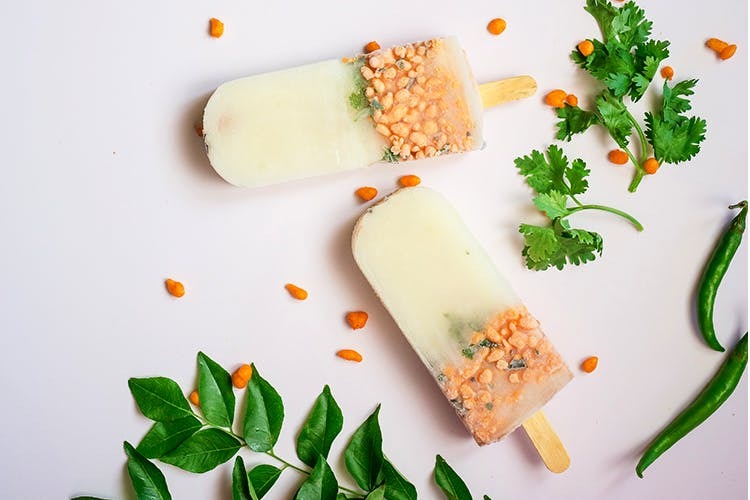 Try their “Poptickles” in the Wonderland section of the menu; they have crazy options like the Mystery More – a spicy buttermilk popsicle with kaara boondhi. Yes, a very local and desi combination! They also have other Poptickles like Jumping Jamuns, Krazy Kirni and more with which they offer an interesting range of flavours like bhujia sev (say what? ), classic pomegranate and others topped with tangy sauces. All of this at just INR 30, peeps!